If you haven’t been involved in litigation before, the process can seem overwhelming at first glance. 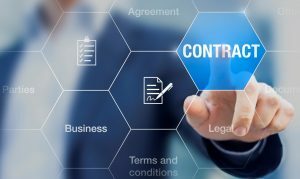 The term “Business Litigation” covers a wide variety of cases including breach of contract, partnership or shareholder disputes, disputes between owners of a business, real property, and even cases outside of a traditional business context like probate and trust disputes, to name a few. Whether you are an individual, a local business, or a large national corporation, a case will follow the same basic lifecycle, which is described below. Demand Letter. If you have been wronged by someone, for example, you have not been paid for the work your business performed; generally, the first step would be to send a demand letter to the other party. This is done in an attempt to try to negotiate an amicable resolution without the expense and time of involving court action. Complaint. If the demand letter effort fails, the next step is to file a Complaint in the appropriate court. After the defendant is served with the Complaint, they have 20 days to file an Answer. If they fail to timely file an Answer, we will move for a default. Discovery. Although it can be done sooner, generally, once the Answer and any affirmative defenses are filed, the parties participate in discovery. This includes Requests for Production of documents (including electronic documents such as emails and texts), Requests for Admissions, Interrogatories, and depositions. This is the process to collect admissible evidence that you believe will help you prove your case or disprove their affirmative defenses. Generally, all paper discovery must be answered within 30 days of service of the discovery. After paper discovery is complete, the parties will set the depositions of the witnesses. A deposition is where attorneys for both sides are present with a witness and a court reporter and both sides are allowed to ask the witness questions about the case and their potential testimony. Mediation. Before a trial can take place, most judges in Florida require the parties to attend mediation, where an independent mediator will discuss the issues, facts, and risks of going to trial with the parties to attempt to reach a settlement prior to trial. A settlement is completely up to the parties. The mediator can strongly suggest, but cannot force a party to settle. If a settlement is reached, then the case is over. If not, the case will get set on a trial docket. Trial. Although we aggressively advocate for the rights of our clients, we strive, throughout the entire litigation process, to get our clients the best possible resolution without the costs and time of going to trial. If an amicable resolution cannot be reached, the case will go to trial either before a judge (bench trial) or before a jury. At the trial, both sides give an opening statement, call fact witnesses, possibly expert witnesses such as forensic accounts, and introduce evidence, such as contracts, partnership agreements, wills, trusts or email communications. At the end of the presentation of evidence, the attorneys for both sides will give closing arguments. At the end of the case, the judge or jury will consider all of the evidence and render a decision. If the need for litigation should arise, having an understanding of the five business litigation phases will help prepare you at the onset of the litigation process. Our attorneys have significant experience litigating all of these matters for a wide variety of clients, and we effectively and efficiently help them every step of the way. For questions about the business litigation process and other litigation issues, please contact article author and business litigation attorney Daryl Krauza.